We have developed a new framework for scale invariant texture analysis using multi-scale local autocorrelation features. The multi-scale features are made of concatenated feature vectors of different scales, which are calculated from higher-order local autocorrelation functions. To classify different types of textures among the given test images, a linear discriminant classifier (LDA) is employed in the multi-scale feature space. The scale rate of test patterns in their reduced subspace can also be estimated by principal component analysis (PCA). This subspace represents the scale variation of each scale step by principal components of a training texture image. 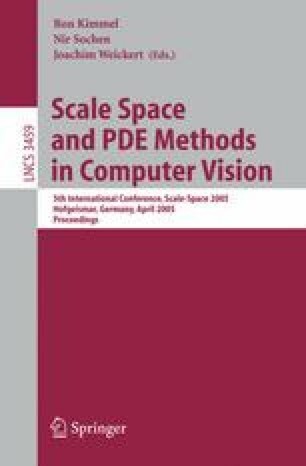 Experimental results show that the proposed method is effective in not only scale invariant texture classification including estimation of scale rate, but also scale invariant segmentation of 2D image for scene analysis.